FROM ASHES TO NEW has released the official music video for "Broken", the follow-up single to the hit "Crazy", which recently reached No. 2 on the U.S. rock radio chart. The track conveys a message of perseverance and believing in yourself when others try to push you down and hold you back in life. It's a recurring theme in FROM ASHES TO NEW's music which is very personal to the band. FROM ASHES TO NEW's debut album, "Day One", earned the band a Top 10 track at rock radio with the single "Through It All". Following an extensive album cycle, the band's original drummer and co-vocalist both abruptly left the group. Rather than focusing on the setbacks, FROM ASHES TO NEW forged ahead with a new energy and purpose. The band, now comprised of frontman/rapper/programmer Matt Brandyberry, guitarist Lance Dowdle, vocalist Danny Case and drummer Mat Madiro (TRIVIUM), released its second album, "The Future", earlier this year via Eleven Seven Music. FROM ASHES TO NEW is touring the U.S. extensively for the rest of the year, with a headline run throughout September and October. 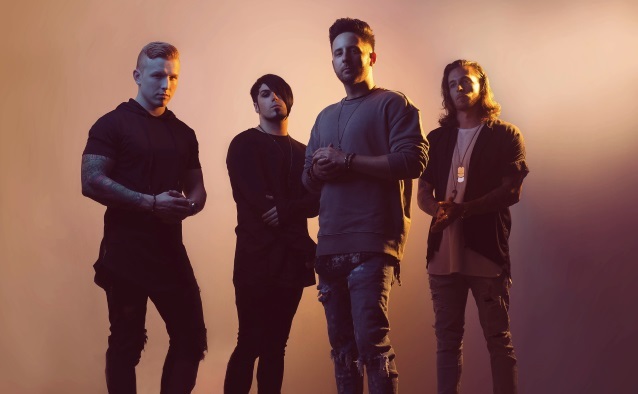 They will also be opening for FIVE FINGER DEATH PUNCH and BREAKING BENJAMIN on their autumn arena tour and will also be performing at several festivals, as well as providing direct support for STONE SOUR and PAPA ROACH on select dates. A European tour will take place in early 2019.